Oh, the detail on this little beauty! 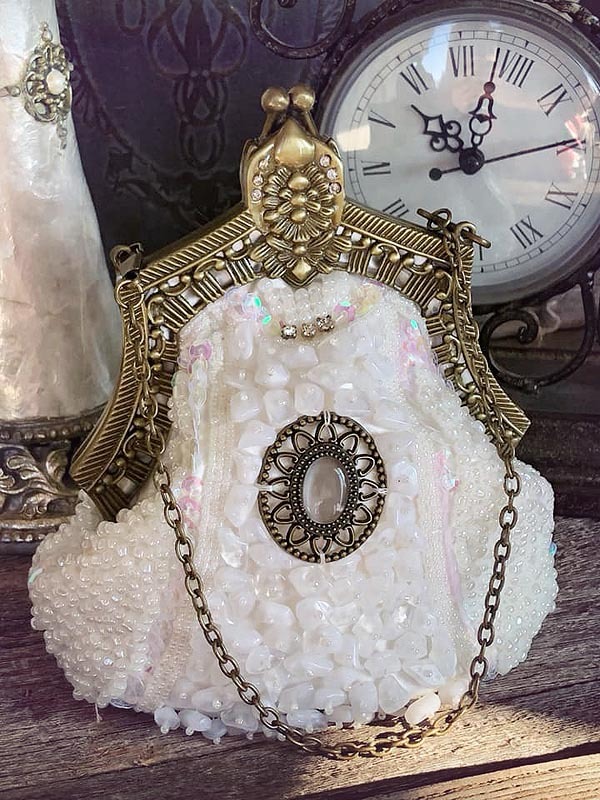 Both sides of this little clutch purse has been meticulously beaded in shades of white pearl, irridescent champagne and clear crystal against the fabulous bronze detailing of the clasp, chain and cameo. 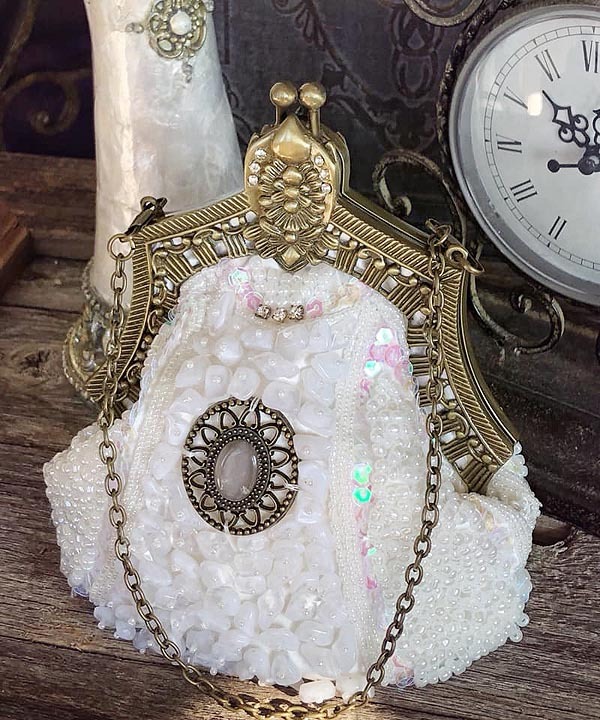 There is a lovely cameo setting with a light grey cat's eye gemstone and full beading on both sides. It snaps securely shut and features a short chain and also an attachable long chain so you can either hold it, or wear it over a shoulder. It's dainty at 8" x 6" x 3" deep, just right for a few necessities for a dressy occasion. All those beaded details give this piece a nice weight. Imported, Curated for The Vintage Angel.